A fish shack. Conjures up images in my memory bank of a ramshackle place, near a body of water, that sells fresh, scrumptious fish. 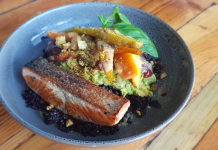 Well in Canberra The Fish Shack, which opened a few months ago, is much trendier and, while it’s nowhere near the ocean, quality fish is the catch of the day. 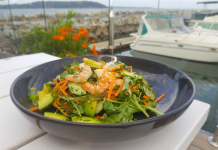 Owner Brendon Sedaitis is ramping matters up now that his supply lines are established and will soon expand his menu to include swordfish, tuna, albacore and more. 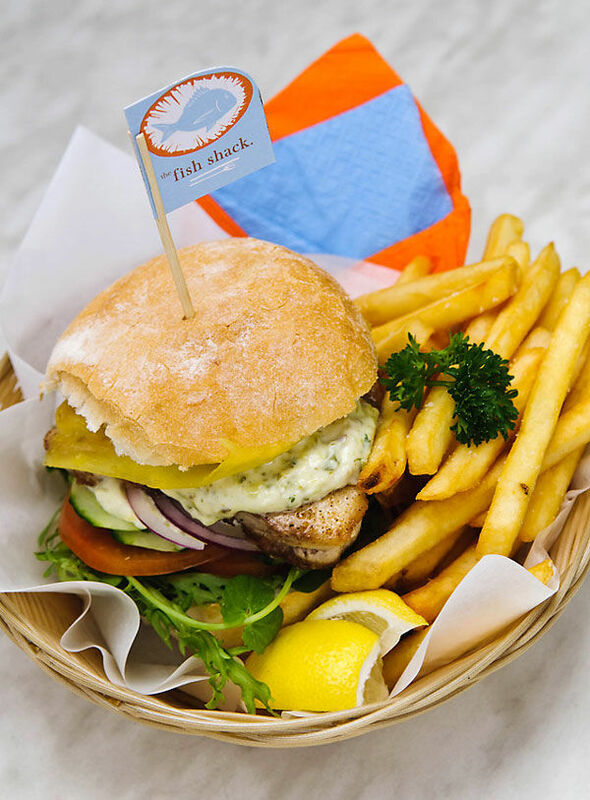 Gourmet Mahi Mahi burger, all the best burger bits with house made tartare. 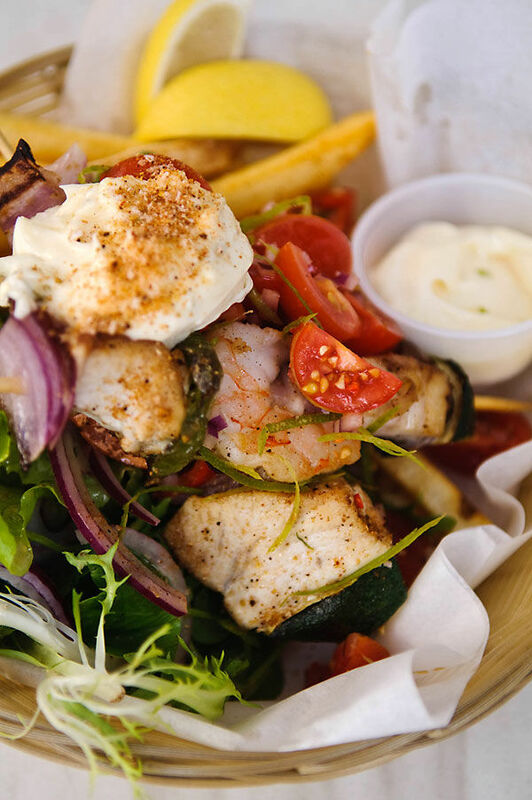 Shack skewers, yellow fin tuna, sword fish and tiger prawns with salad, chips, lime aioli and tomato salsa. The current menu has an Asian influence, partly reflecting Brendon’s time in Hanoi where – as an Australian Agency for International Development volunteer – he worked as a certified hospitality trainer for KOTO (know-one-teach-one), helping former street kids gain the experience needed to gain meaningful jobs in restaurants. While overseas, Brendon also learned from others, including a Japanese chef who shared his delightfully light tempura batter recipe, which is used on The Fish Shack’s soft-shell crab ($12.50). 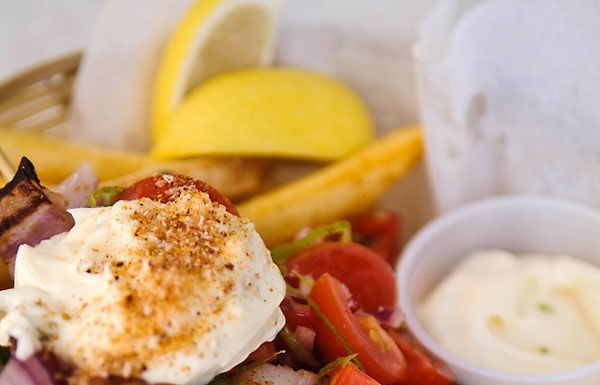 Fish and chips are on the menu – classic beer battered (but made only with premium beers for a tastier batter), grilled with lime and mild chilli (gluten free), steamed with lemon grass and ginger (also gluten free) and crumbed with lemon and pepper. The latter was my choice and I couldn’t complain. The Flathead was tasty and the coating a coarse crumb mixed with lemon zest, black pepper and chopped parsley ($8.50 medium, $11.50 large and $14.5 for a two pack, with hand-cut chips $2 extra). The crumb mixture, as with the dips (lime aioli, roast garlic aioli, wasabi mayo and tartare), are made in-house. 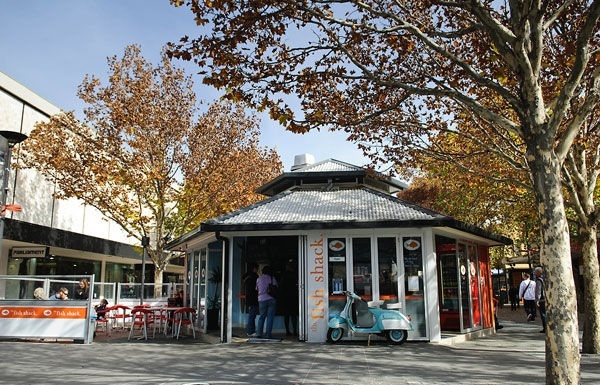 My friend’s chowder ($10) was piping hot – perfect for a cool Canberra day (although The Fish Shack has heaters). It was made with Snowy Mountain trout, which was “as creamy as”. Our only suggestion is to add a few more chunks of trout in the chowder. The current menu also includes Thai coriander fish cakes ($8.50), salt and pepper squid and chips ($10.50) and tempura prawns and chips ($12.50). 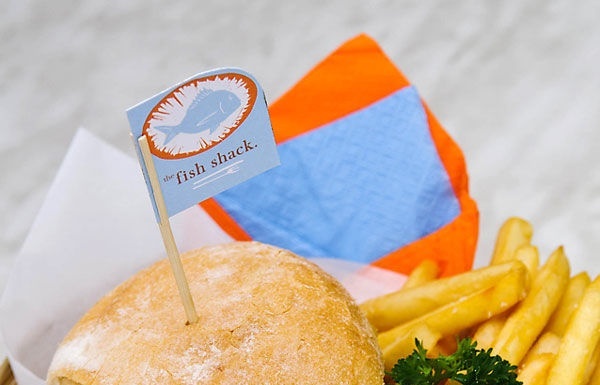 If you’re craving a burger, The Fish Shack has fish, vegetable or prime beef options (all $9.50). 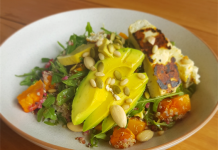 Brendon, whose uncle is Alby Sedaitis, of Barocca Café and Café Chaos fame, got the idea to open The Fish Shack when he returned from abroad. In Manly with overseas friends – right near the beach – he could only find “frozen pre-battered rubbish”. He vowed to open his own fish shack, cooking in-house and to order. Now he is casting his line even further out to sea and will eventually source self-sustainable Australian fish. 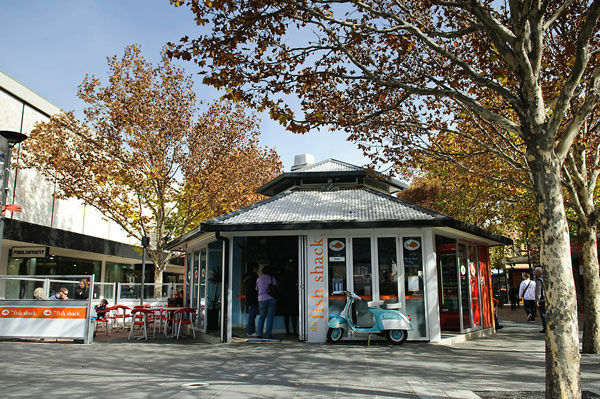 The Fish Shack, Petrie Plaza off Bunda Street, Civic. 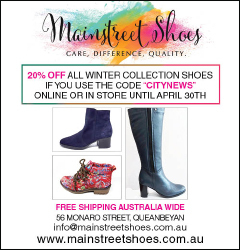 Open 9.30am to 7.30pm Mon-Thurs; till 9pm Friday and 9.30am to 4.30pm Saturday. You can call ahead to order on 6248 5885.